Thee Manipulators broke up a few years ago, and now their final recording session is seeing the light of day thanks to Neptoon Records. 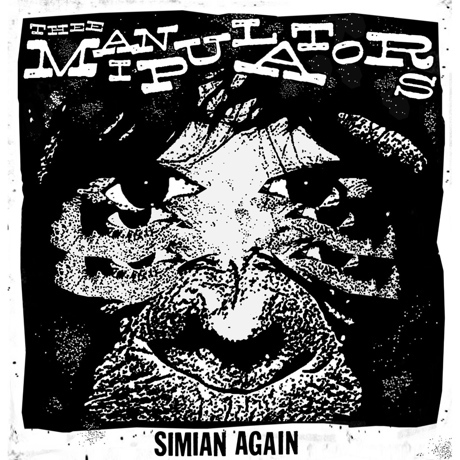 Their Simian Again 7-inch came out this week (October 15), and the three songs can be streamed now. A-side "Simian Again" gets things underway with raw garage-blues riffs and howled shrieks. After that, the full-throttle stomp of "It's Excruciating!!" puts the distorted organ front and centre, while "Cry Real Tears" is a no-bones-about-it garage rock'n'roll number. The songs had previously languished in the vaults after being recorded at Little Red Sounds studio, but they were finished off when producer Jim Diamond (the White Stripes, the Pack A.D.) mixed and mastered them. Thee Manipulars will release the 7-inch with a one-off release show on October 18 at the Hindenburg with the Vicious Cycles, the Mants and High Wasted. This follows another reunion show a couple of weeks ago, when they opened for the Sonics.